Banana´s health benefits. Scientific name. Uses and medicinal properties of banana, benefits. Scientific name: Musa x paradissiaca L.
The banana is a hardy grass up to 10 meters high. Strong and well-developed leaves, petioles envainadores that make the false aerial stem, limbo of 1-2 m long and 35-60 cm wide, tearing into strips perpendicular to the central axis. The medicinal part is the banana fruit. It is cultivated in all tropical countries of the world. It is originally from India. Polysaccharides: 20% of starch in the fresh fruit. Ascorbic acid (vitamin C) 10 to 20 mg/100 g in the fresh fruit. Amines: serotonin (28 g / g fresh fruit). Tyramine (7 g / g fresh fruit) dipamina (8 g / g fresh fruit), noradrenaline (2 g / g fresh fruit). Acids: citric acid and malic acid. 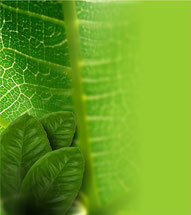 Aromatics substances: 180 components (isopentenyl acetate as main flavor). 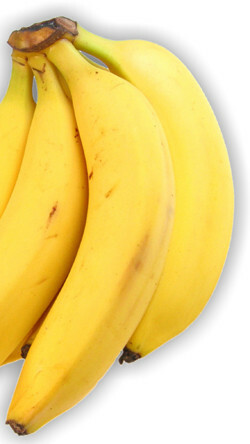 The banana contains plenty of water and carbohydrates. About 1% consists of fiber, protein and fat. The whole plant is rich in tannins, phenolics, biogenic amines and nucleosides. The starch prevents formation of stomach ulcers and reduces cholesterol. It is an important source of potassium for the proper functioning of the heart. The Banana has anti-asthmatic properties, antituberculosis and anticancerous. Is used against hemoptysis and to treat burns (facilitates regranulation and reepithelialization). 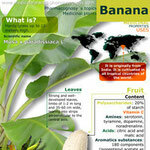 It is also used for digestive discomfort, the “bananina” (banana starch mixed with milk) is used to fight diarrhea. Is indicated for dyspepsia, gastrointestinal diseases, diabetes, diarrhea, hypertension, scurvy and gout. The roots have been used as anthelmintic. It has excellent nutritional properties. Chronic ingestion may cause myocardial fibrosis. The banana should not be eaten raw, but boiled or fried. It is taken orally in the form of powder mixed with milk or making banana bread called Chapatis. summary characteristics and properties of Banana. Aces, R. P.: Plantas útiles de las Antillas, 1939.Chattopadhyay S, Chaudhuri S, Ghosal S, Activation of peritoneal macrophages by sitoindoside-IV, an anti ulcerogenic acylsterylglycoside from Musa paradisiaca. Planta Med, 94:16-8, 1987 Feb.
Goel, R. K.: Planta Medica 2: 85, 1985. Ramos, J. E.: Informe referente a unas preparaciónes hechas con plátano. Ann Acad Ciencias Med, Fis, y Nat de La Habana, 21: 428-429, 1885. Robineau, L.: Hacia una farmacopea caribeña. Sto. Domingo: Enda-Caribe/UNAH, 1991: 244. Roig, J. T.: Plantas medicinales, aromáticas o venenosas de Cuba. La Habana: Ed. Científico-Técnica, 1988: 1125.